In a notification, the Home Ministry said anyone with valid travel documents can exit or enter through the post. The Kartarpur Sahib gurudwara in Narowal district of Punjab, Pakistan. The Ministry of Home Affairs today designated the Dera Baba Nanak land post in Punjab's Gurdaspur district, the exit and entry point for visiting Kartarpur Sahib Gurdwara in Pakistan, as an authorised immigration checkpoint. "In pursuance of the Passport (Entry into India) Rules, 1950, the central government hereby designates Dera Baba Nanak Land Check Post of District Gurdaspur, Punjab State as an authorised Immigration Check Post for entry into/exit from India with valid travel documents for all classes of passengers," the notification stated. Kartarpur is located in Narowal district of Pakistan's Punjab. Guru Nanak Dev, the founder of Sikhism, had spent more than 18 years of his life there. 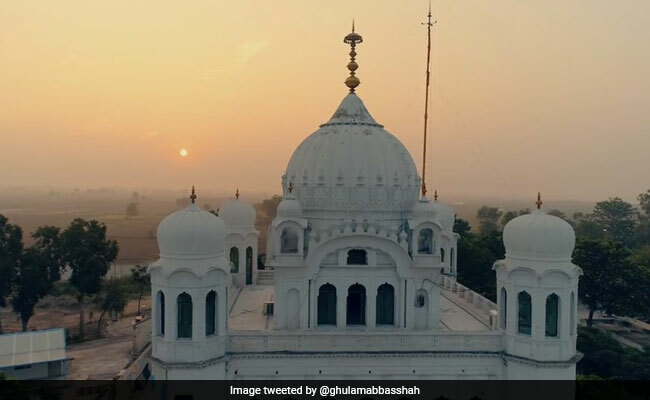 The Kartarpur Sahib Gurdwara is located on the banks of the Ravi river, about three-four km from the border in Pakistan. On November 26 last year, Vice President M Venkaiah Naidu laid the foundation stone of the Dera Baba Nanak-Kartarpur Sahib Corridor (up to the International Border) at an event at Mann village in Gurdaspur district. On November 28, Pakistani Prime Minister Imran Khan inaugurated the four-km corridor on the Pakistan side, which is expected to be completed by 2019. The much-awaited corridor will connect the Kartarpur Gurdwara with Dera Baba Nanak in Gurdaspur district and facilitate visa-free movement of Sikh pilgrims, who will have to just obtain a permit to visit Kartarpur Sahib.